Nineteen traffic officers from various law enforcement agencies throughout San Mateo County participated in the San Mateo County Saturation Traffic Enforcement Program (S.T.E.P.) today. 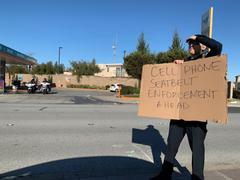 This was the second deployment of a collaborative effort to increase traffic safety and awareness in known trouble spots throughout San Mateo County in 2019. This operation effort focused on traffic education and enforcement in San Mateo and Foster City. Officers made over 160 traffic enforcement stops and issued 144 citations. Of the 144 citations issued, 101 were for cell phone violations, 11 were for seatbelt violations, and 5 were for stop sign violations. 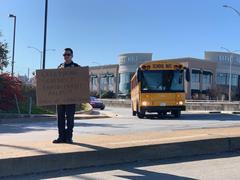 Additionally, one driver was placed under arrest for providing false information to a police officer, one driver was cited for driving on a suspended license, and two drivers were cited for driving while unlicensed. This was the second deployment in a number of planned multi-agency saturation deployments scheduled to be performed throughout San Mateo County this year. The San Mateo County Police Chiefs and Sheriff’s Association and the California Highway Patrol have all committed to this important safety initiative. These planned multi-agency saturation deployments will continue throughout San Mateo County in 2019.